Modrý Efekt (Blue Effect) were one of the most important bands from Czechoslovakia. 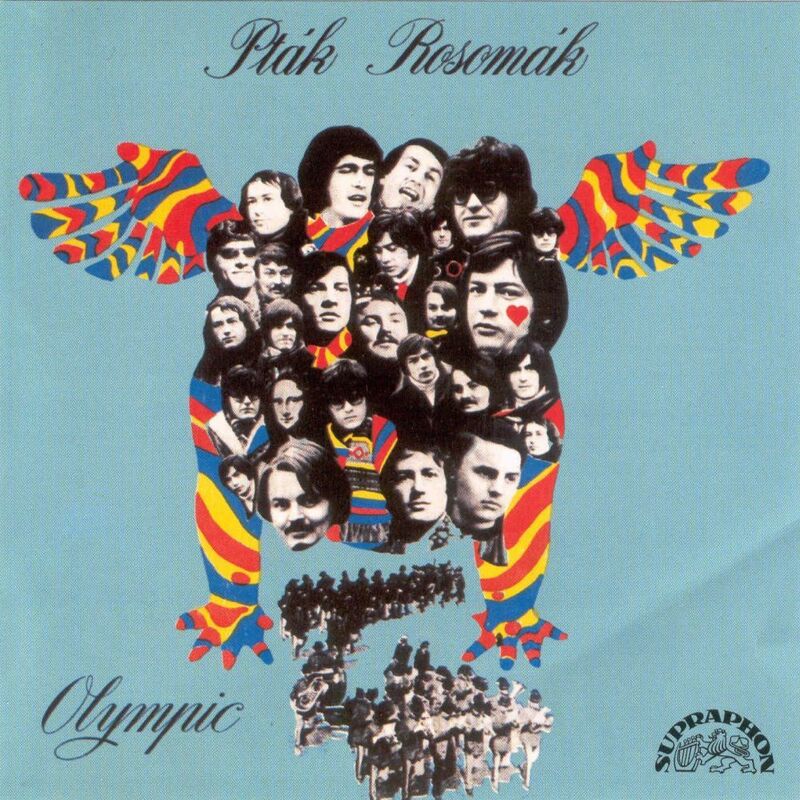 The band Olympic was established in Prague in 1962 as a group, or exactly rock´n´roll orchestra of many musicians and vocalists and their personnel had been changed often. They began to play a rock´n´roll repertoire of American and British singers and bands as Elvis Presley, Chuck Berry, Buddy Holly or Brenda Lee and bands like The Shadows or The Ventures. 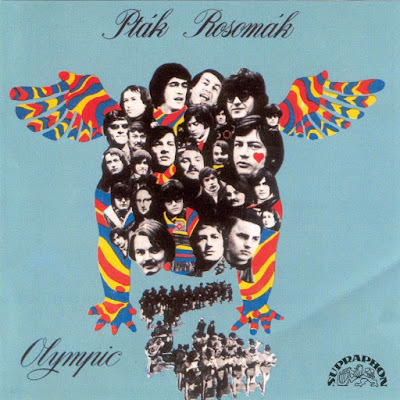 In 1965, Olympic under the influence of British Invasion changed their personnel into five-men band – Petr Janda- lead guitar, vocals, Ladislav Klein – guitar, vocals, Pavel Chrastina- bass guitar, vocals, Miroslav Berka – piano, organ, harpsichord, Jan Antonín Pacák- drums, percussion. 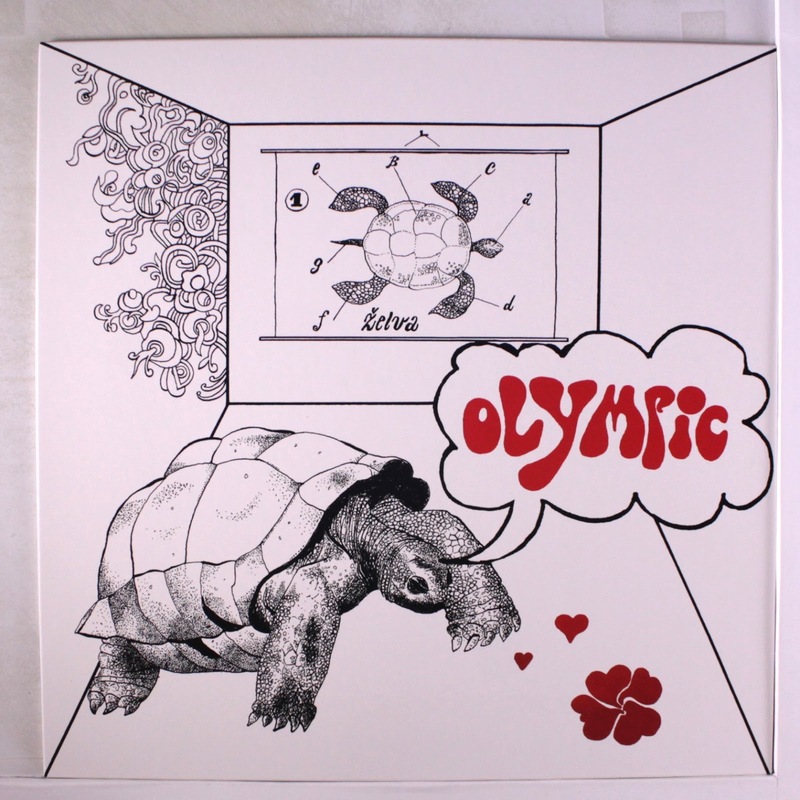 Olympic played cover versions of British bands, but they began to compose their own songs, as well. The first famous song of this era was “Dej mi vícsvélásky” (Gimme More of your Love). 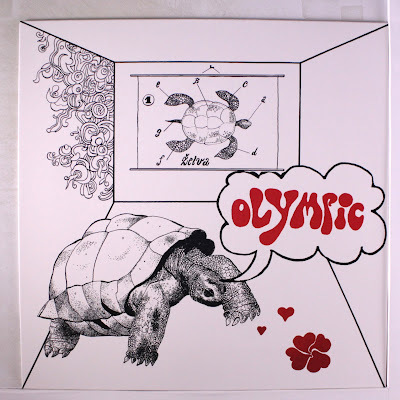 In 1968 they´ve recorded their first LP record – “Želva” (The Turtle), which was actually the first rock LP record published in Czechoslovakia. The album “Želva”contained 12 songs which were strongly influenced by waves of mersey-sound, garage and psychedelic rock, as well. 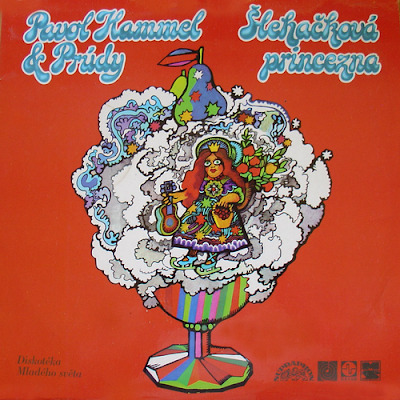 The most psychedelic song of this album was “Psychiatrický prášek”(The Psychiatric Pill) which lasts over 6 minutes. After Soviet Invasion in August 1968 the political condition in Czechoslovakia had begun to change. In 1970 began political normalisation and rock´n´roll became nearly illegal. From the year 1971 Olympic played mainstream bubble-gum songs or songs tributary to Communist party propaganda. The band was established in 1966 in Prague. After some changes, the personnel was stabled to – František Francl- lead guitar, Pavel Fořt- bass guitar, Jiří Čížek- Ionica organ, Karel Kahovec- guitar, lead vocals, Petr Novák- vocals, Přemysl Černý- drums. In 1967 joined the band one of the best drummers in Czechoslovakia – Jaroslav “Erno” Šedivý and Přemysl Černý became a manager of Flamengo. In 1967 the band released plenty of singles with beautiful songs strongly influenced by British Invasion and the beginnings of psychedelic era, which was reflected by fuzzy guitar solos, electric Ionica organ sounds. The very poetical lyrics were written by Ivo Plicka, friend of singer Petr Novák. 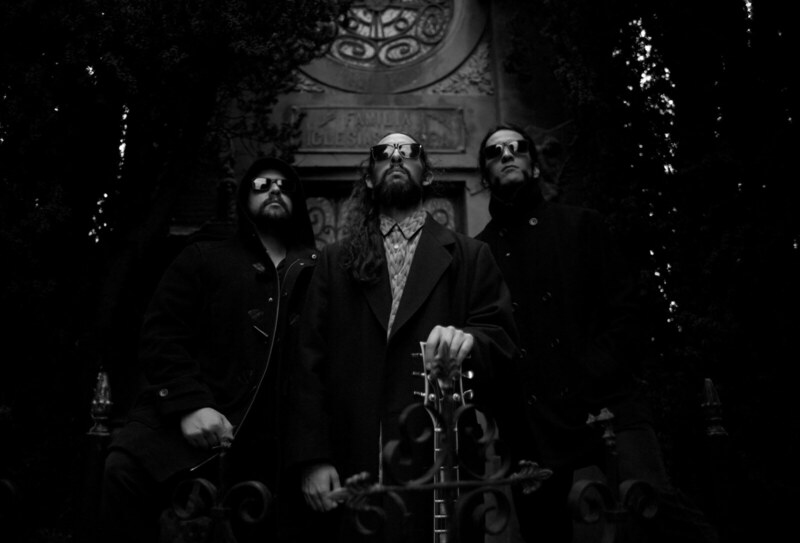 The best songs of this band´s period were “Paní v černém” (Lady in Black), “Poprava blond holky” (The Execution of Blonde Girl), “Náhrobní kámen” (The Tombstone) or “Svou lásku jsem rozdal” (I Gave All My Love Away). During the year 1967 Petr Novák left the band with Jiří Čížek and re-established his first group George & Beatovens. In 1968, Flamengo slightly change their repertoire and began to play blues and soul cover versions of songs such as “Land Of 1000 Dances”, “I Got You”, “Hold On I´m Coming”, “In The Midnight Hour”, “Knock On Wood”, “Get Off Of My Life Woman”. In 1969 the sound of band is getting harder, Karel Kahovec left the band. The new man in the band was Ivan Khunt- lead vocals, Vox organ. In short time, but for short time, as well, joined the band English singer Joan Duggan. Flamengo get an engagement in West Germany where they played for US Army units. Their repertoire consisted of blues-rock and soul songs of Janis Joplin, Canned Heat, Jethro Tull, John Mayall or Screamin´ Jay Hawkins. When Flamengo came back to Czechoslovakia Joan Duggan and František Francl left the band. Pavel Fořt became a lead guitarist. The new members, who joined the band were Vladimír Mišík- vocals, conga, Jan Kubík – tenor saxophone, flute, Vladimír “Guma” Kulhánek – bass guitar. Ivan Khunt replaced his Vox organ by original Hammond. 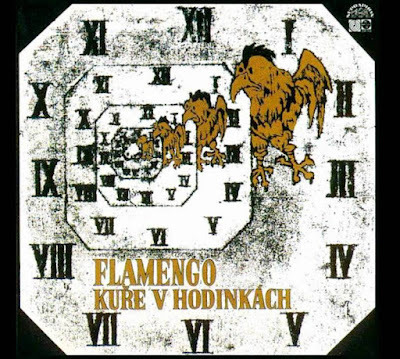 In this line-up, Flamengo recorded their only album, a progressive rock fusion, “Kuře v hodinkách” (Chicken on watch), which is rated as one of the best albums of Czechoslovak music. Nowadays, the original issue of this album is very rare collector´s item. After publishing this album, in 1972, the band has broken-up. When Petr Novák left Flamengo in 1967, he re-established his first band George & Beatovens, which started in 1964. The new personnel of the band was Petr Novák- vocals, guitar, Zdeněk Juračka-lead guitar, Jiří Čížek – bass guitar, Miroslav Helcl – organ, Jiří Jirásek – drums. The band was known for their tender poetical pop-rock ballads and lyrics of Ivo Plicka. Fuzzy guitars and organ solos brought some psychedelic nuances to the band´s music. In this line-up Georges & Beatovens had successfully performed at The 1st Czechoslovakian Beat Festival in 1967. After the festival the band recorded their first 7” EP record with famous song “Klaunova Zpověď” (The Clown´s Confession) which was followed by several singles such as “Pokoj č. 26” (The Room No. 26) or “Lež Bláznivého Básníka” (The Lie of a Foolish Poet). In the end of 1968 the band changed its personnel – Jan “Farmer” Obermayer (ex-The Matadors) – organ, piano, saxophone and Miroslav Dudáček – lead guitar, joined the band. The song “Den štěstí” (The Day of Happiness) was published as a reaction on Soviet intervention in Czechoslovakia and protest self-sacrifice of student Jan Palach, who burnt himself to death in Vencel´s Square, in Prague on January 1969. 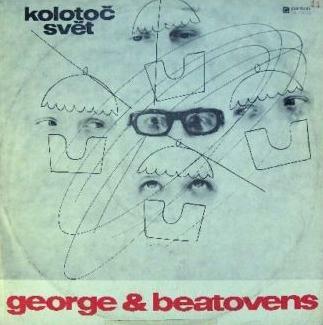 George & Beatovens´ first album, “Kolotoč Svět” (World, the Carrousel) was published in 1970. After the releasing, the band ended their career. Petr Novák was prohibited to perform for two years, because of political communist censorship. The Matadors band was established in 1965 in Prague. The personnel was Radim Hladík – lead guitar, Karel Kahovec – vocals, guitar, Vladimír Mišík – vocals, Jan “Farmer”Obermayer – piano, Matador organ, Otto Bezloja – bass guitar and Tony Black – drums. In short time, Karel Kahovec and Vladimír Mišík were replaced by vocalist Viktor Sodoma. The name of the band was deduced from the name of the East German electric organ called Matador. The Matadors had used the equipment of best quality in Czechoslovakia, by West German´s company Dynacord. The Matadors have recorded two SPs, two EPs and one LP album “The Matadors”. The Matadors were strongly influenced by British blues and rhythm & blues music and they played, except their own songs, cover versions of bands Them, The Animals, The Who, Small Faces or Dave Dee, Dozy, Beaky, Mick & Tich. From their beginnings they sounded and looked very progressive with strong psychedelic influence. Radim Hladík was one of the best guitarists in Czechoslovakia, who was characterised as a “Jimi Hendrix from Prague”. He was experimenting with guitar feedback, fuzz boxes and he was first guitarist who was using wah-wah pedal in our country. During the years 1966 and 1967 The Matadors performed double concerts with Swiss band Les Sauterelles. 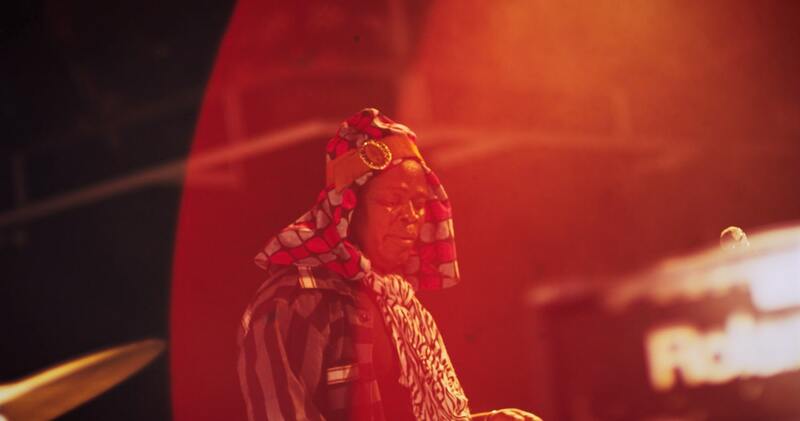 The tour had begun in Czechoslovakia and then continued in Belgium and Switzerland. 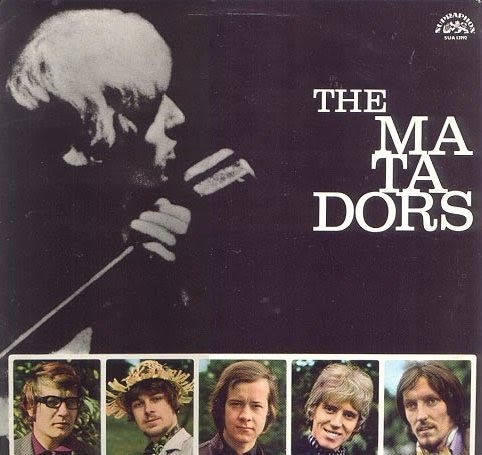 In 1968, The Matadors recorded their first, but the only one LP record, named “The Matadors”. After the publishing of the album the band had broken-up because of engagement of some band´s members in musical “Hair” in West Germany. After the breaking-up The Matadors, guitarist Radim Hladík established a new band with Vladimír Mišík – vocals, recorder, conga, Miloš Svoboda – guitar, Jiří Kozel – bass guitar, Vladimír Čech – drums. The main influences for the band were the bands as Ten Years After, John Mayall or Traffic. The band was using some exotic instruments as sitar, congaor recorder. In 1968 they won the Grand Prix of The 2nd Czechoslovakian Beat Festival in Prague with song “Sluneční Hrob” (The Sunny Grave). After the festival Miloš Svoboda left the band. 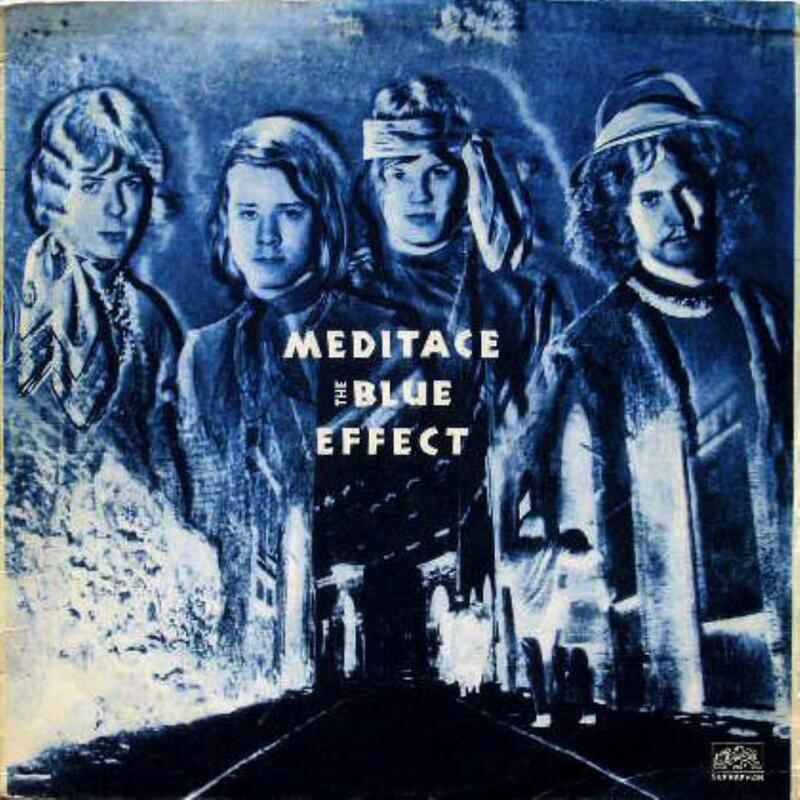 The Blue Effect, 1969, had recorded one 7” single with songs “Sluneční hrob”(Sunny Grave) and “I´ve Got My Mojo Working”and one 7” EP record of compositions “Snakes”, “Sun Is So Bright”, “Blue Taxi” and “Senne ní věčný” (The Dream´s not Eternal). In 1970 was published their first LP “Meditace”(The Meditation). 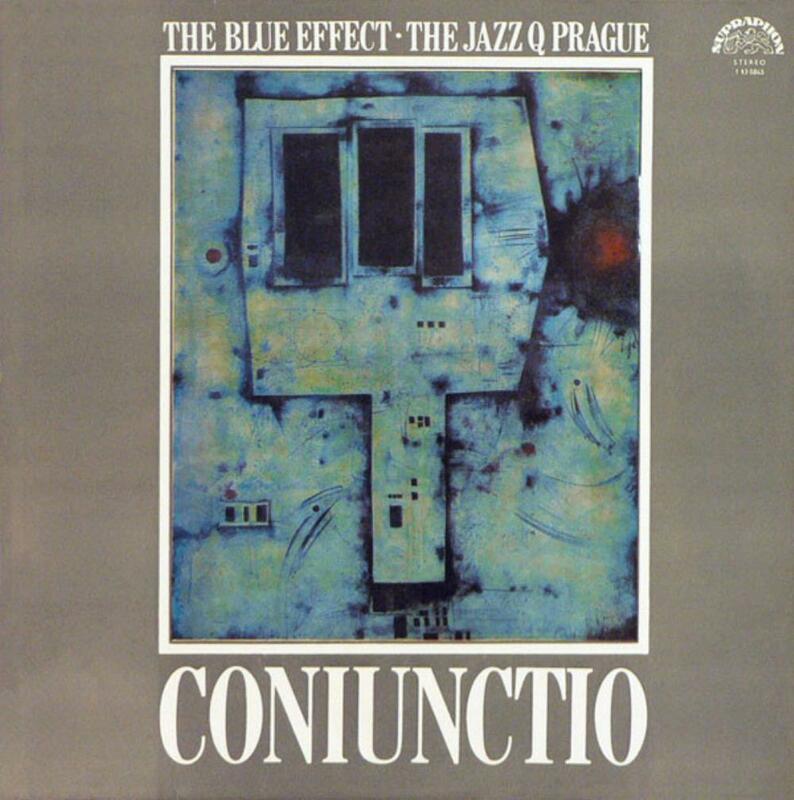 In 1971 the band changed their personnel and musical orientation, as well – The Blue Effect began to play more progressive music, they had experimented with jazz orchestra, or free jazz group, Jazz Q Prague. 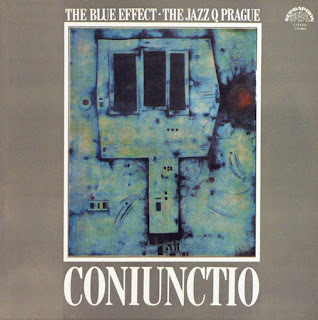 In 1970 was released album “Coniunctio” which was collaboration of The Blue Effect and Jazz Q Prague. The album “Coniunctio” is fusion of instrumental progressive/art rock, psychedelia and free jazz improvisation. 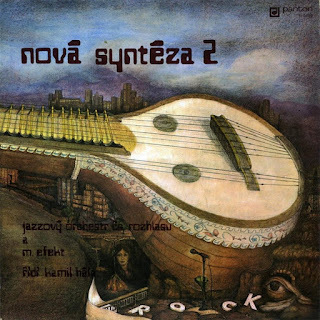 During the 1970s the band released several progressive rock albums such as “Nová Syntéza I”, “Nová Syntéza II” (New Synthesis I, II), “The Benefit of Radim Hladík” or “Svitanie” (The Dawn). The Colour Images was a short “living” band founded in Prague in 1968. The band´s leader was vocalist Pavel Sedláček and the other members were persons of Prague rock scene such as František “Fáfa” Mašek or bass guitarist Jiří Kozel, who was a co-founder of The Blue Effect. The Colour Images recorded only few SP recordings with some cover versions as The Move´s “Flowers in the Rain” or Vanilla Fudge´s “You Keep Me Hangin´ On”. This band began their musical career in Czech town Jablonec nad Nisou in 1968. The base members were – Tony Vacek – oboe, lead vocal, Karel “Charlie Pope” Papež – organ, Ladislav Špitzer – guitar, Jaroslav Sobotík – bass guitar, Zdeněk “Sally” Miller – drums. The big inspiration for this band was American groups such as Vanilla Fudge or Iron Butterfly. Most famous was their live performance of Vanilla Fudge´s cover version of The Beatles´ composition “Eleanor Rigby”. In 1969, The Yearning Lorry moved to Prague and Jaroslav Sobotík with Zdeněk“Sally” Miller left the band. Instead of them joined the band Jaroslav Pešl – bass guitar and Ludvík Šíma – drums, the former members of The Primitives Group. The big pity is that the only one record of their music hasn´t been saved. In 1971 the band ended. Tony Vacek continued, for short time, in Prague band Perpetuum Mobile, which repertoire was based on compositions of groups Captain Beyond (Mesmerization Eclipse) or Beggars Opera (The Witch). The band was established in mid-sixties in Moravian town Brno. The personnel was Petr Ulrych and his sister Hana – vocals, Stan Regal – guitar, Jaroslav Vraštil – piano, Farfisa organ, Ivo Křižan – bass guitar, Vladimír Grunt – drums. Between the years 1967 -1969 the band published plenty of singles. Their music was influenced by Cream, The Jimi Hendrix Experience, baroque pop, soul and Moravian traditional music. 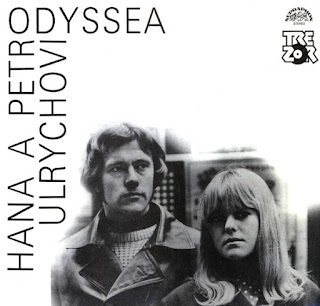 Their first LP recording – “Odyssea” (The Odyssey) was a conceptual album recorded in collaboration with Gustav Brom´s Orchestra. However, the album was recorded in 1969, it was published even in 1990, after The Velvet Revolution, because of communist censorship intervention. In 1970 the band released the album “13HP”, which is fusion of psychedelia and folk-rock and reminds me on music by American band Sagittarius. The Progress Organization was band of short existence from Brno. Its personnel was – Pavel Váně – lead guitar, Spanish guitar, organ, piano, harpsichord, vocals, Jan Sochor – piano, organ, guitar, vocals, Emanuel Sideridis – bass guitar, vocals, Zdeněk Kluka – drums, percussions, vocal. 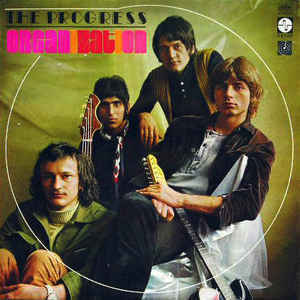 The Progress Organization were strongly influenced by Vanilla Fudge. In 1970 the band published their first 7” EP record with songs “Klíč k poznání” (The key of Congnition), “Snow in My Shoes” and “Fortune Teller”. Their first LP “Barnodaj”was published in 1971. The A-side is in Czech, the B-side is in English. “Barnodaj” consists of their own compositions and two cover-versions – The Beatles´ “We Can Work It Out” and Cream´s “I Feel Free” in like-Vanilla Fudge arrangements. After the publishing of “Barnodaj” The Progress Organization had ended. This Slovakian band started in 1963 in Bratislava as The Jets (which is English translation of the word Prúdy). Their first line-up was Pavol Hammel – vocals, guitar, Vlado Kassay – bass guitar, Peter Saller – lead guitar, František Machats – drums. The band played, as many other bands, in those times, cover versions of instrumental surf-rock songs by The Shadows, The Spotnicks or The Venutures. In the mid-sixties Pavol Hammel became a big fan of song-writers like Bob Dylan or Donovan. The most famous era of the band was between the years 1967-1969. In 1967, joined the band pianist, and later Hammond organ player Marián Varga who brought to the band influences of classical music (his favourite composers were, Bartók, Shostakovich or Stravinski). The band´s personnel changed into – Marián Varga – piano, Hammond organ, harpsichord, Pavol Hammel – lead vocal, acoustic guitar, harmonica, Peter Saller – lead guitar, backing vocals, Fedor Frešo – bass guitar, backing vocals and Vlado Mallý – drums, oboe, backing vocals. Their first album, “Zvonky, Zvoňte” (Ring out, bells!) was published in 1969. 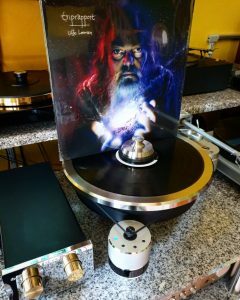 The album is full of uncommon music which was a fusion of folk-rock, baroque pop, classical music and Slovak traditional melodicism in gentle psychedelic mood with slovak lyrics. Marián Varga was very resourceful composer and he was using some unconventional instruments as a harpsichord, celeste or church organ. On album “Zvonky, Zvoňte” we can hear a string quartet or oboe. The second album, “Pokoj Vám” (Peace to You) was recorded as outspoken reaction to Soviet intervention in Czechoslovakia in august 1968. 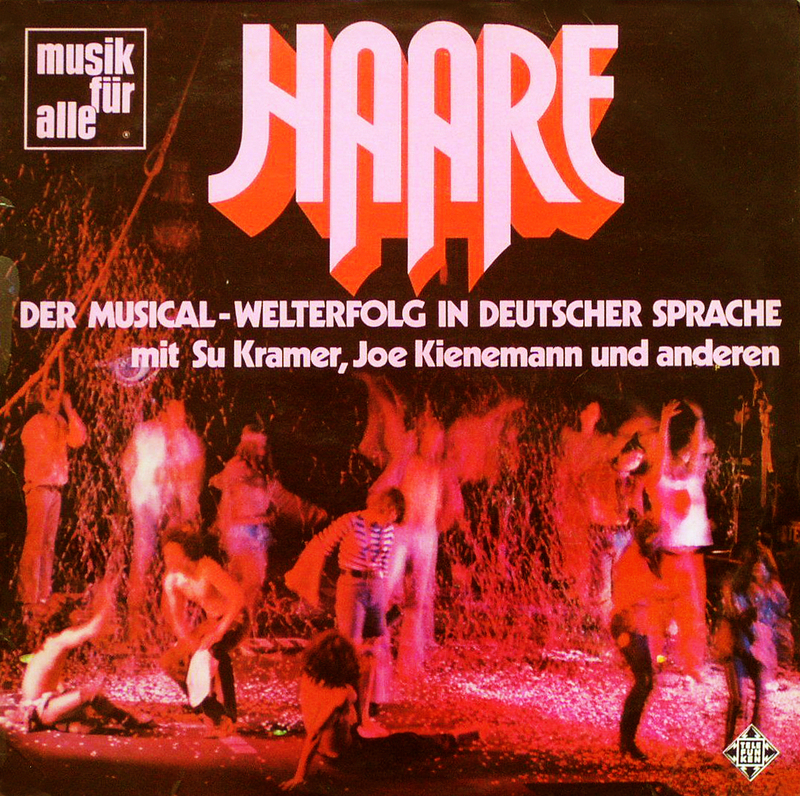 The publishing of album was stopped by communist censorship and the album was published even in 1999. 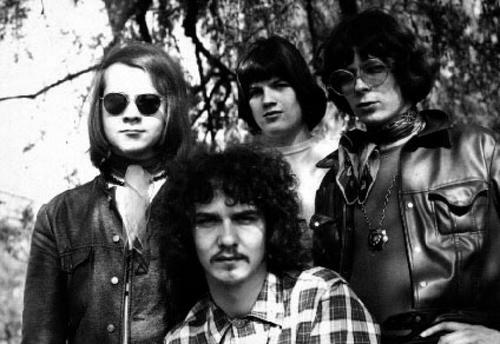 In 1970 the band changed the personnel – Pavol Hammel- lead vocals, acoustic guitar, František Griglák – lead guitar, organ, piano, Alexander Filo- bass guitar, Anton Kuruc – drums. 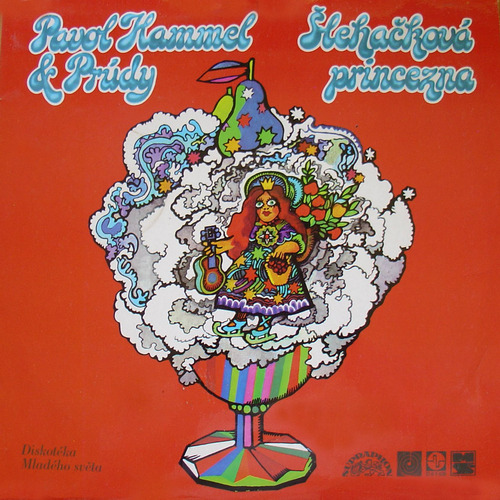 This line-up has recorded folk-rock and psychedelic album “Pavol Hammel & Prúdy”. In those times, the sound of band became more stoned & harder, because of the guitar of František Griglák, but folk influences have still lingered. 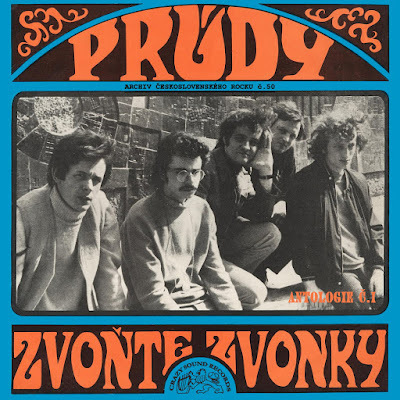 In their live performances Prúdy played long and stoned cover version of Donovan´s Season of the Witch. In 1969, when Hammond organ player Marián Varga left Prúdy, he had established the new band with drummer Dušan Hájek. In a short time, joined the band bass guitarist Fedor Letňan, who was, in a while, replaced by Fedor Frešo (ex-Prúdy) and Letňan started to play the guitar. The main influence for the band was fusion of classical music with rock. The big impact for the new band was Keith Emerson and The Nice, who performed in Prague at The 2nd Czechoslovakian Beat Festival, as well. 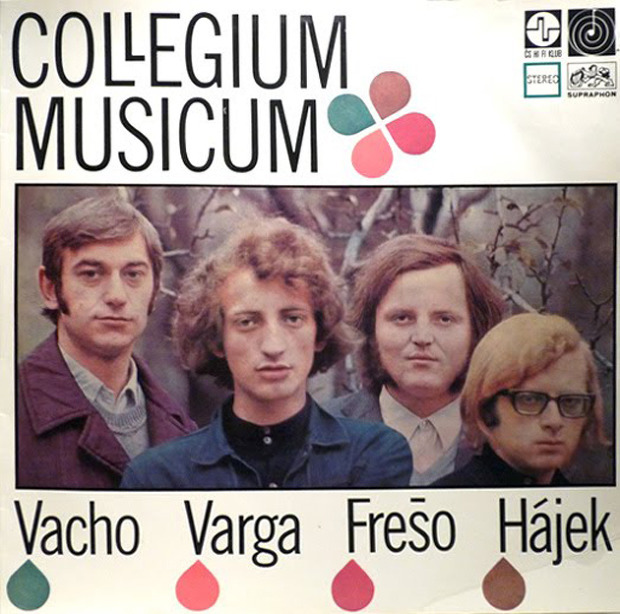 In 1970 Collegium Musicum released their first 7” EP with compositions “Hommage á J. S. Bach” and “Ulica plná plášťov do dažďa” (The Street Full of Raincoats). For this recording joined the band guitarist PavelVáně (ex-The Progress Organization). 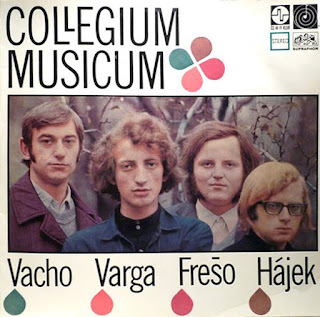 The next year joined the band guitarist Rastislav Vacho and the band recorded their first LP record “Collegium Musicum”. The album contains 2 own compositions and one transcription of Joseph Haydn´s “Concerto in D”. “Collegium Musicum” album is full of progressive sounds, classical music tendencies and long instrumental parts with psychedelic nuances. On the autumn of 1971 the band´s line up changed to Marián Varga – piano, Hammond organ, František Griglák (ex-Prúdy) – lead guitar, Fedor Frešo – bass guitar, Dušan Hájek – drums. 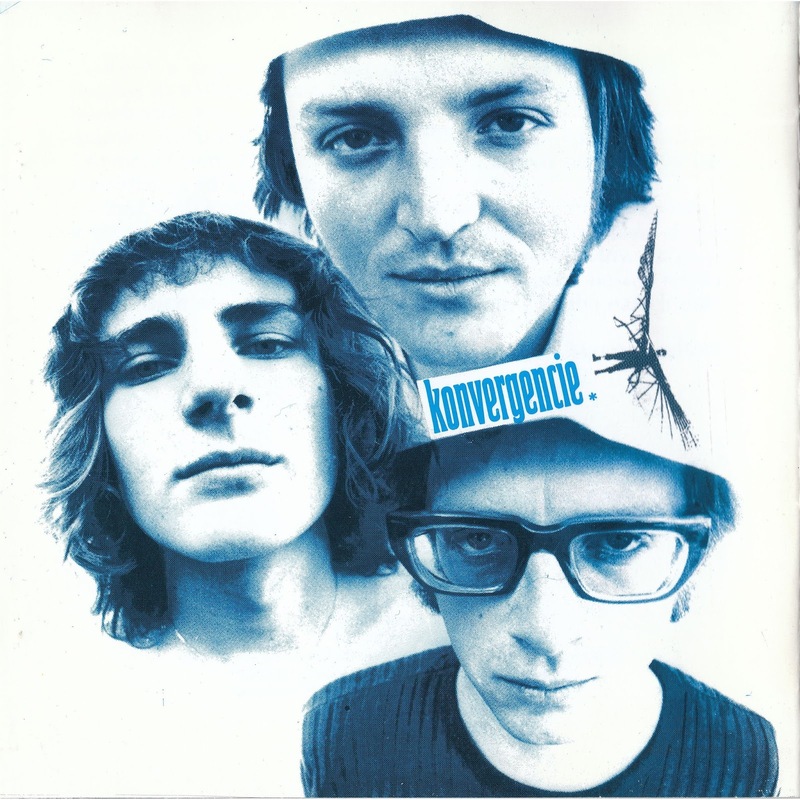 The personnel recorded double album ”Konvergencie” (The Convergences) which was published in the end of the year 1971. 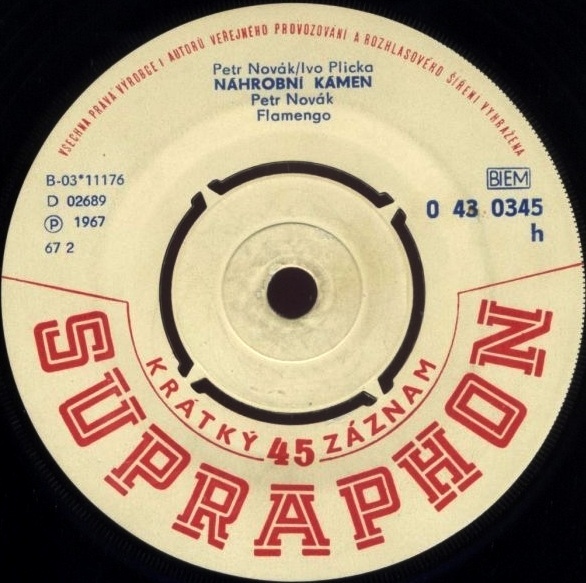 The album was recorded at Experimental studios of Czechoslovakian broadcast. This studio was usually used for recordings of contemporary electronic music and it was in that time the only recording studio with stereo equipment in Bratislava. Thanks to this studio, the album sounds really progressive and experimental, the studio offered to use various sound effects – we can hear, for example, phased drums, organ playing through ring modulator or backward-playing tapes. Marián Varga had used the analogue synthesizer “Subharchord” made in East Germany. 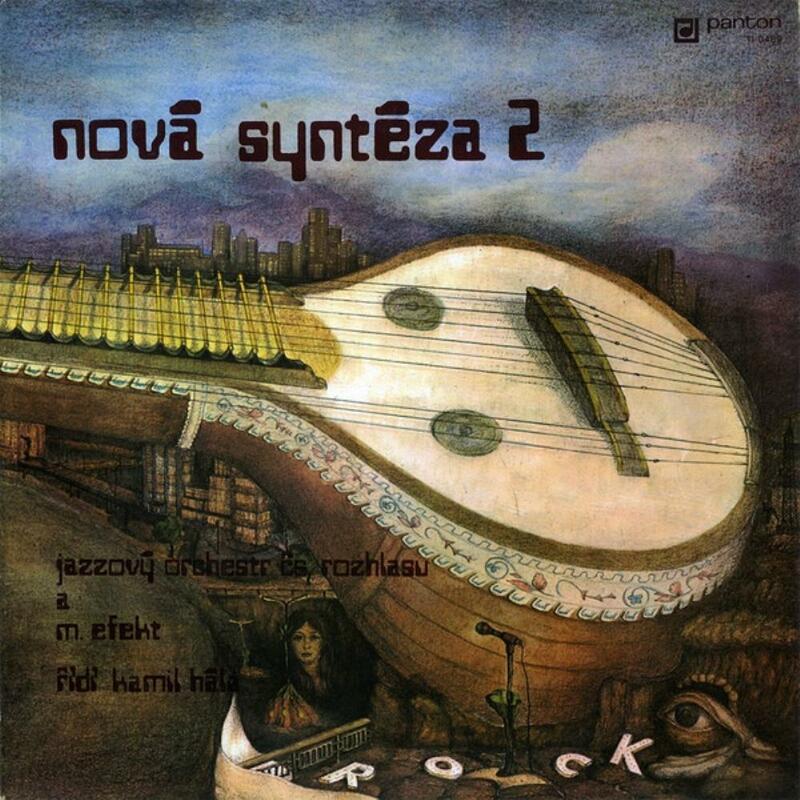 “Konvergencie” album contains of four circa 20-minute compositions, the most important is “Suita potisíc a jednej noci” (After Thousand and One Night Suite) based on Rimski-Korsakov´s ballet and Marián Varga´s composition “Eufónia” (Euphony) which is sound experiment with Hammond organ, electronic modified piano, tapes and other studio equipment. In 1972 František Griglák left the band and Rastislav Vacho came back, for short time. In this period Collegium Musicum in collaboration with Pavol Hammel (of Prúdy) recorded psychedelic album “Zelená pošta” (The Green Post). The album is full of bewitching songs, dreamy lyrics and still present influences of classical music. The guest on that album was guitarist Radim Hladík of The Blue Effect. During the 1970s Collegium Musicum has published several progressive rock albums and in 1981 had broken-up. The band was reunited for one tour in 2009. Read our article Psychedelic sound & Underground movement in Czechoslovakia in 1960s & 1970s here.